Many Bitcoin enthusiasts are concerned about the massive increases that the mining difficulty level has experienced over the past several months. As ASICs fly off the shelves, the network's hash rate skyrockets (we just recently hit 1 petahash, or 1 quadrillion hashes per second), which rapidly boosts the difficulty level, sometimes doubling it in less than a month. In fact, most ASICs that are sold do not even exist yet, and the buyer has to wait several weeks or more for delivery. Charts like the one above (source: bitcoin.sipa.be) show a huge curve and extrapolation would suggest even more mind-blowing numbers to come. Furthermore, there are still several ASICs yet to be released (many are listed here) and this can only mean that there is more difficulty in the future of mining. The concern is that mining will become exceedingly difficult and hardly profitable for the average user, many people will lose money, and interest in Bitcoin will decrease, perhaps reducing its value. While this is a valid concern, I think the true result of this difficulty spike will be quite the opposite. It is certainly true that difficulty (in the general sense, not just numerically) will increase. Mining profitably today is not nearly as simple as it was a year ago. The hardware is much more expensive and is less available than the CPUs and GPUs used for old fashioned mining. If you want a profitable piece of hardware, you're going to have to shell out some dough, and even then you may have to wait several months to receive a device that costs more to run than it mines. It is also true that some people will lose money. For instance, if you bought a 5Gh/s Jalapeno from Butterfly Labs in April of 2013, you're probably out of luck. You're still waiting for your unit while the difficulty soars, and even if you started mining today, you'd only squeeze out about $2.50 per day minus extra costs. You may break even over a long period of time, but you shouldn't hope for much more. On the other hand, as we'll see shortly, you may be able to significantly improve your profits if you're willing to hold on to those BTC mined for a longer term investment. Ultimately, we need to consider an even more fundamental concept that promises a flourishing Bitcoin economy in the future: the age-old principle of supply and demand. The mining difficulty does not just rise because it wants to. It rises because the network's hash rate rises. This means that people are trying harder and harder to find those blocks. They are investing their time and money in Bitcoin because they are interested. They want it. 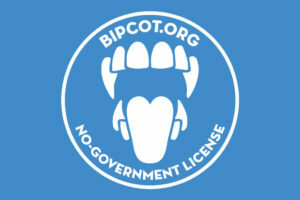 And I'm not just talking about the hobbyist who drops one or two grand on a fancy ASIC rig. I mean that entire companies are investing millions in new technology. People really want Bitcoins. Simply put, a rising difficulty means that Bitcoins are in huge demand. And according to every principle of economics, when demand increases without a corresponding increase in supply, the price will also increase. This brings us to another important point. The supply of Bitcoins will never increase. In fact, it is designed only to decrease. Presently, the supply is 25 BTC every 10 minutes. I suppose you can say the supply increases slightly when blocks are found in less than the average 10 minutes, but this is negligible, especially in the long run. 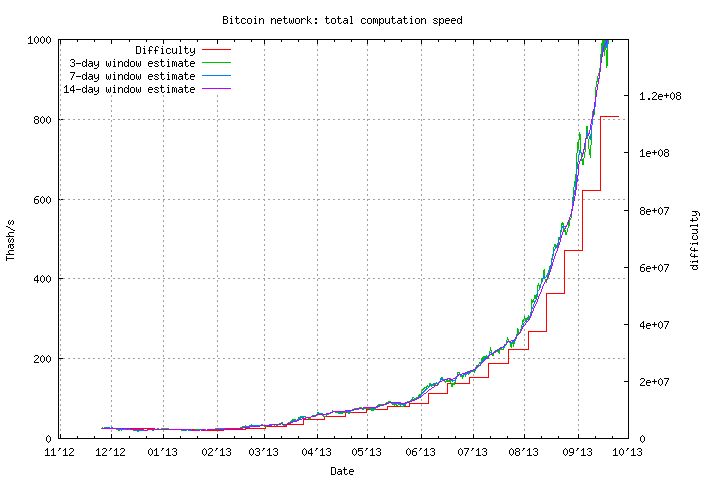 Sometime around 2016, the reward for mining a block will drop to 12.5 BTC every 10 minutes. Bitcoins will only become more scarce as the reward continues to decrease at the predetermined rate. This is prime territory for investors and for any currency in general. An exponentially growing demand (indicated by the rising difficulty level) and a guaranteed decrease in supply will almost certainly lead to deflation, and a more valuable Bitcoin. Before we finish this discussion, there's one last thing to remember. Bitcoin is completely new. Nothing like it has ever been tried before, and it's completely possible that it will change even the most fundamental principles of economics. I certainly doubt that this is likely, but we have to remember that it's possible. No one can truly predict the result of something that has never been done before. Bitcoin could crash tomorrow from a software bug, a malicious member (or group of members) of the community, or something completely unexpected. This is unlikely for sure, but worth remembering.